Welcome to Ross Energy Systems! Ross Energy Systems designs and develops devices for scanning the electromagnetic field of the body. Human beings evolved in the electromagnetic (EM) field of the earth, constantly bathed in EM signals from the earth, sun, and organisms in the biosphere. This is not just background noise. Our body processes are controlled not just at the chemical and biological levels but at the EM level. There is a great deal of signaling inside the body at the EM level, and between the body and the external environment. There is information in these EM signals, just as there are in cell phone and radio signals. Organisms capture EM signals to run biological processes including: synthesis of chlorophyll by plants; synthesis of melanin and Vitamin D by the skin; and vision. Organisms also emit EM signals. In medicine we capture the electrical signals of the brain and heart in an EEG or EKG. These electrical signals contain information that guides diagnosis and treatment. Dr. Ross believes that the EEG and EKG only scratch the surface. Many parts of the body and the body as a whole emit EM signals that could be mined for medical information. The signals could be read to spot disease at the EM level before it trickles down to the biological level, and to guide and monitor response to many conventional and alternative treatment methods. 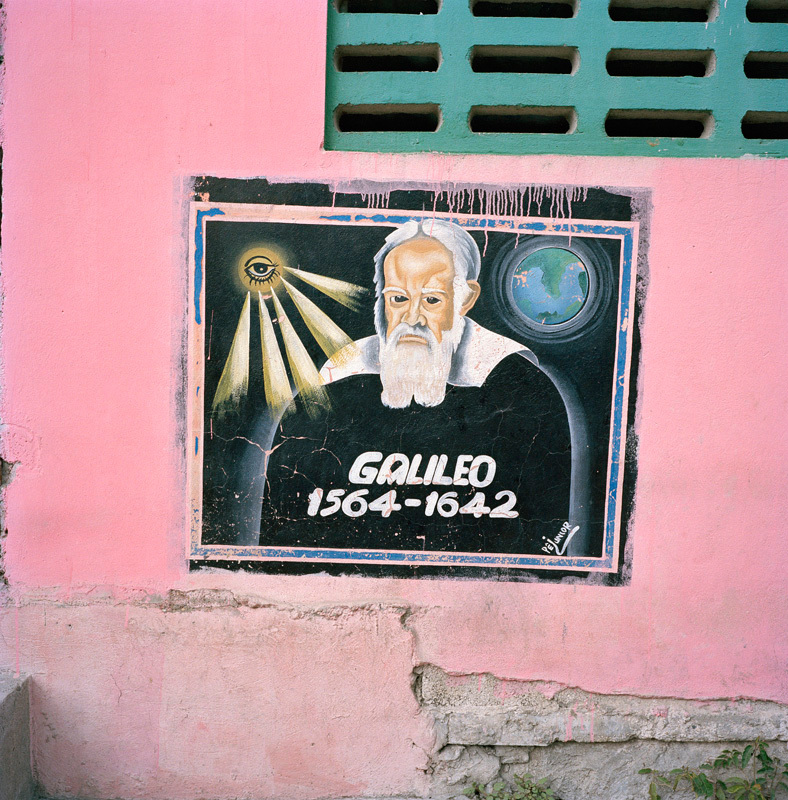 This painting is on the side of a house in Saint Marc, Haiti. The painting embodies the marriage of modern science, as exemplified by Galileo, with "primitive superstition" - the human eyebeam. A goal of Ross Energy Systems is to develop technology that can detect and measure the eyebeam.